With October being Breast Cancer Awareness month, I'm carrying on my pink polishes. 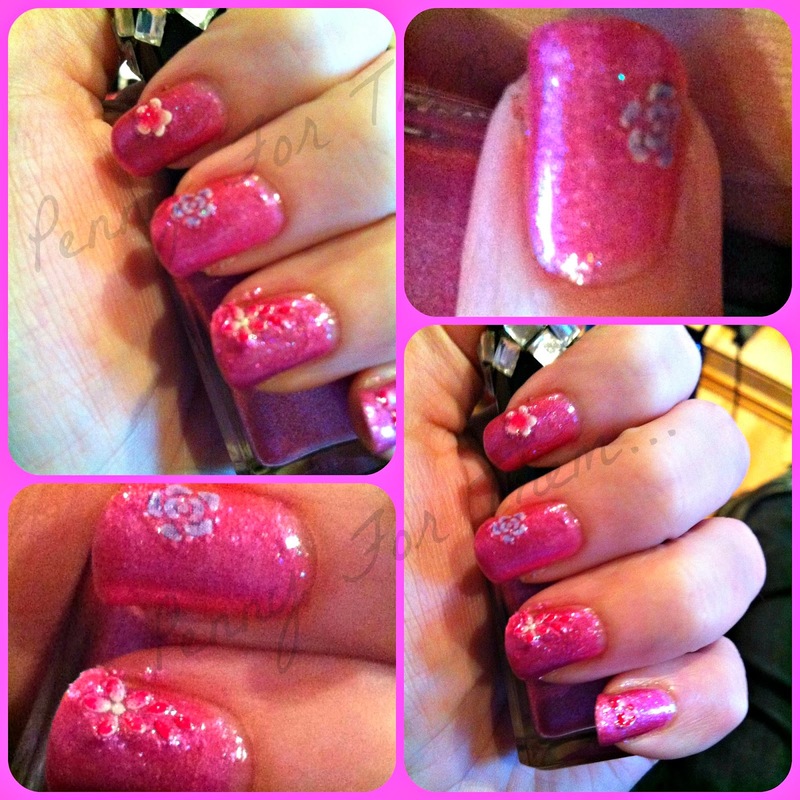 The first one i did was as a guest post on PishPosh and Polish using the OPI "Pink of Hearts" 2012 duo set that were made especially for Breast Cancer Awareness HERE. Last week i then did another special pink post with both my nails and my mums HERE. Today's NOTD was using Ruby White Tips "ABC" - another polish released for the awareness. The ABC stands for Amber Breast Cancer Collection (last C not added! ), and 50% of all the proceeds goes direct to breast cancer awareness - fab! RWT's have a unique formula which no other polish has, and the ABC is no exception. Its almost a jellylike consistency. A gorgeous pink that if you tilt your nails you can see a blue hue running through it, but very slightly - great touch! As with all RWT's they're so easy to apply and as you build the coats up the true beauty shines through. I used a base coat of Poshe, 3 coats of the polish and a top coat of Poshe to give it the ultimate glossy finish. I added a few cute little nail stickers just to add a little extra, a lovely glossy top coat and voila! You can just see also minute pieces of glitter - hard to capture on camera but its just about visible on the picture with just one nail showing. I love Ruby White Tips. 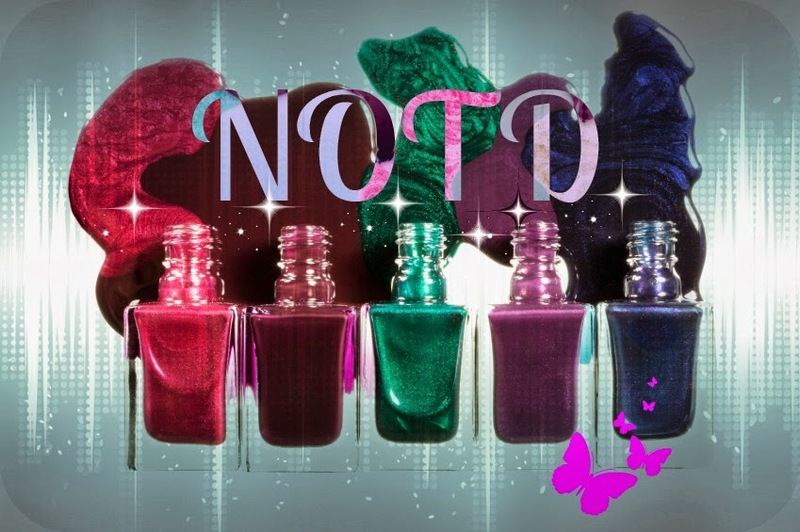 The polishes are unique and easy to use. The colours are beautiful, and you can feel the owner's, Laura, passion and love of polishes from the bottle to the polish! 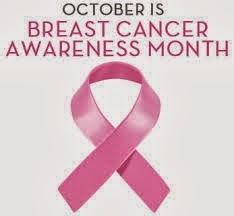 As its October for a little while longer, ill be doing more pink mani's to support Breast Cancer Awareness, so please keep a look out for those! In the meantime, as always, happy polishing!! These look so super pretty. I need some.